The 4-16x50SF is a dedicated precision riflescope that offers the precision, the features and the ruggedness serious shooters demand. For starters, it is built with an aircraft grade aluminum alloy 30mm main body tube. 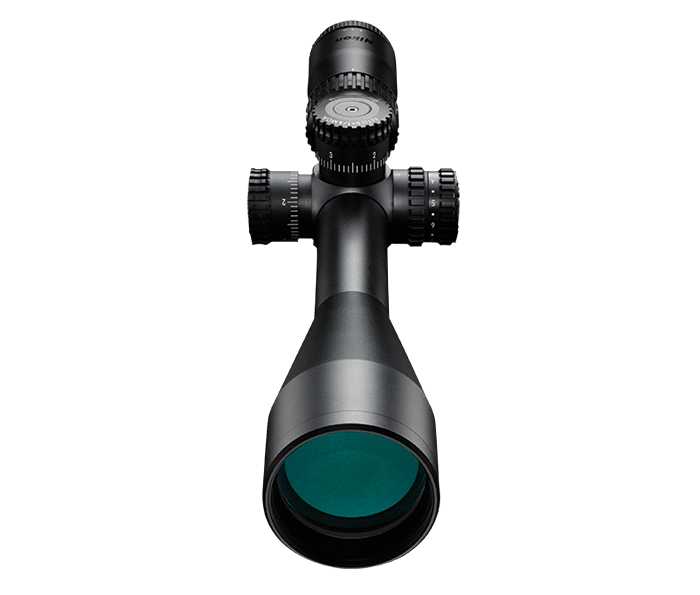 With a choice of X-MOA, Illuminated X-MOA or Illuminated X-MRAD reticle, the riflescope delivers 90 total MOA internal adjustment travel for the X-MOA reticle and 25 MRAD for X-MRAD reticles. Its turrets have ¼ MOA click graduations yielding 12 MOA per revolution. All of the 4-16x50SF models have the reticle placed in the riflescope’s second focal plane, so all holdover corrections, ranging and other measurements using the indicated reticle subtensions should be done at 16x magnification. Nikon is dedicated to quality, performance and total customer satisfaction. If your Nikon Binocular, Riflescope, or Fieldscope requires service or repair not covered by our Limited Lifetime Warranty, just send it to us and Nikon will repair or replace it. *Excludes lost or stolen products and intentionally caused damage.